After reading a lot of helpful articles here at PPC.org as well as on other sites, you’re starting to get results from your PPC campaign. That’s nice, you just have to increase your PPC budget and you’ll start making a lot more money. It’s that simple, right? Well, no! You’re probably running a PPC campaign to promote your business and there’s every chance that your business accepts one form of payment or the other; unfortunately, it’s easier to pay more attention to marketing activities like split testing your PPC campaign, increasing your budget and then trying new techniques but very little attention is paid to optimizing the payment process on your website. If you want your PPC campaign to be more profitable, without even increasing your budget, here are some payment mistakes you should avoid making on your website. In 2012, a PPC click costs around $0.84 on average; depending on your business nature, the real cost is often over $1 and it isn’t unusual to find people paying $10 for a click. Also, it’ll usually take around 30 – 50 clicks before you’re able to make a sale; now, do you want to scare those people way by having them go through 5 different checkout pages before they can buy from you? A recent Webcredible survey has shown that 10% of people abandon the checkout process on a website due to the “lengthy checkout process”. In other words, if people have to visit 5 different pages before they are finally able to “Checkout” or if they have to click 5 different checkout buttons, then you’re wasting your PPC budget. How much in PPC budget is that comprehensive payment form costing you? Do people really have to fill in all 24 payment fields? Well, you might not really know how much that lengthy form is costing you but one thing is certain; it’s indeed costing you something! This was proven through a recent study by Expedia, an online travel firm; after doing some testing and realizing that users are finding the “Company” field on their payment form confusing, Expedia decided to remove that form and saw an increase of $12 million in annual revenue. Another great example is popular blogger Neil Patel, on his digital agency firm; Neil Patel was able to increase conversion on his landing page by 26% just by removing one field. For him, that’s additional six figures in annual revenue. While you will often need a lot of details, it won’t really matter if it’s costing you customers; even if you need the details for marketing, you can encourage users to fill them right after they’ve paid for your product or service; not before they have paid. How credible is your landing page? You might want to run a credibility test on your landing page to see how much sales it is costing you; recent data from Unisys Security Index has shown that one of the major fears Americans have is the fear of being a victim of credit card fraud. Most visitors to your website probably don’t trust your website enough to give you their credit card details; by building some credibility elements into your website or landing page, though, you can experience a significant increase in payments from your website. Taking the above actions will restore your customers’ confidence in your website and increase their chances of paying. It’s natural that once people remove their wallets after landing on your web copy then they’ll buy; it’s usually a foregone conclusion that once they input their details in your payment form then they’ll buy. But, is it? Really?! A recent on ContentVerve.com observed how a particular business was able to increase sales on its website by 31% just by changing the text on its checkout button; the text was changed from “Create My Account” to “Create Account & Get Started” – The simple change to the payment button alone resulted in 31% more sales. Your PPC campaign won’t be that profitable if your call-to-action is weak, so make sure you consistently tweak and test it to find out what works. Data from BankCardSD has shown that around 80% of Amex, Visa Card and MasterCard holders agree that, irrespective of the nature of the business, every business should have as many payment options as possible. 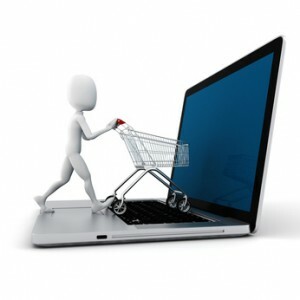 To put things into perspective, it’s important to note that there are over 1 billion online shoppers worldwide. Most of these people pay via credit card and there are only around 120 million PayPal users worldwide; around 10% of total shoppers. If you only accept PayPal in your business, then you’re losing out on 90% of potential buyers. In other words, limiting the options people have to pay for your services is making your PPC campaign unprofitable.